"Baltimore County [is] the epicenter of the largest Section 8 relocation program in the United States." according to Steven McIntire, failed Republican candidate for Maryland House of Delegate's district 42A representing Towson, despite a strong endorsement from Gov. Hogan. McIntire's 2018 campaign focused heavily on the 'conspiracy' among the "Baltimore City political machine," certain Baltimore County politicians and HUD to dump low income Baltimore City residents in the county, along with the crime, noise, drugs and malaise that he believes accompanies them. Steve McIntire is not alone on the subject of Section 8 as a raw deal for Baltimore County residents' absorption of Baltimore City's 'problem.' Pat McDonough a failed 2018 Republican candidate for Baltimore County Executive is equally vocal on the subject. "Everywhere I travelled during my campaign...I heard strong opposition and serious concern about Section 8 housing. Citizens claimed that crime had increased and there was a serious decline in the quality of life in their neighborhoods," lamented McDonough. Political partisanship and racial overtones notwithstanding, at its core is the fact that a decision was made some time ago regarding the master plan for development of the Baltimore metropolitan region that obviously included the mass migration of low income Baltimore City residents out of communities that are contiguous to the Inner Harbor and central business district, many of whom have found new residency in Baltimore County. “Instead of the failed city projects of old, they plan a massive relocation plan using Section 8 vouchers,” Steven McIntire complains. 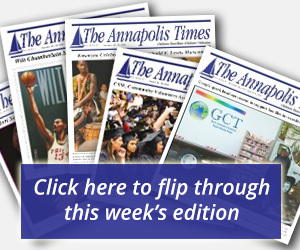 The City of Baltimore, as Maryland's largest metropolis and regional business hub, would never command the level of investment downtown over the last 30 years including the Inner Harbor, two professional sports stadiums, Port Covington, Johns Hopkins’ building spree and miscellaneous billions of dollars in public and private investment and construction, if a plan to protect and grow those investments was not in place long ago. The Section 8 program which began in earnest in Baltimore City in the 1980's generally corresponds to a pattern of outward migration from the city, including 'white flight', of 165,000 residents since 1980. In the same period between 1980 and 2017, Baltimore County's population grew by 177,000, from 655,000 to 832,000. The correlation is apparent. This confluence of events becomes more evident with an examination of gentrification patterns in Baltimore City since the 1980's. 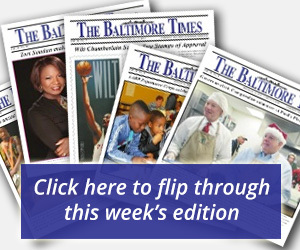 According to governing.com, gentrification of Baltimore between 1990 and 2000 was nine percent, affecting 15 among Baltimore's 200 census tracts in poorer communities. Gentrification is defined as inward migration of more highly educated, wealthier new residents into historically low income neighborhoods causing a rise in property values and standards of living that trigger an exodus of longstanding poorer residents who can no longer afford the costs to live in their increasingly, affluent neighborhoods. Between 2000 and now gentrification in Baltimore City was 23.2 percent, expanding to 39 of Baltimore's 200 census tracts. Geographically, the pattern of growth is concentrated in the Inner Harbor/central business district spreading in every direction from there. Curiously, the neighborhoods due north and east of the Inner Harbor, home to the Johns Hopkins metroplex, does not appear to encompass the gentrification zone. For the hardworking, low income, taxpaying residents of Baltimore City who haven’t lost the faith, consider this: You’ve made a good bet. Baltimore is alive and not going anywhere if major public/private investment is an indication, besides the ten or so colleges and universities staying put. You would do well to pursue ownership of one of the 17,000 vacant residential properties Baltimore City owns, and do it now.